Keith Trowbridge is a fearless entrepreneur who spells $ucce$$ with dollar signs. Relive the adventures, by turns comic and tragic, and always captivating, of Keith’s hardscrabble childhood in Sarnia, Ontario. Learn how intelligence, talent, promises to himself, and most of all perseverance brought him fortunes won and lost…and won again. 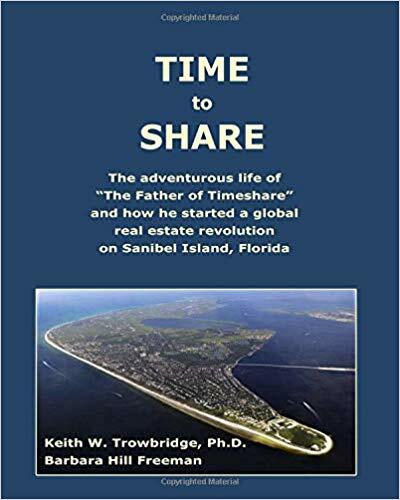 In 1973, Keith Trowbridge invented the concept of timeshare, starting with a single resort on Sanibel Island, Florida. The idea of owning a week at a luxury resort was so new that he and his colleagues used unconventional methods just to get prospects in the door; but before long he was at the fore of a worldwide phenomenon, inspiring Hilton, Marriot, and other chains to launch their own timeshare empires. After developing more than thirty of the very first timeshare resorts in the U.S. and Canada, he then founded the first "headhunting” company for timeshare professionals.In his candid, entertaining style, and within a framework provided by award-winning journalist Barbara Hill Freeman, the acknowledged “Father of Timeshare” talks about his life so far; how the timeshare industry came to be, how it grew, and where it’s headed; and what he’s been up to lately !